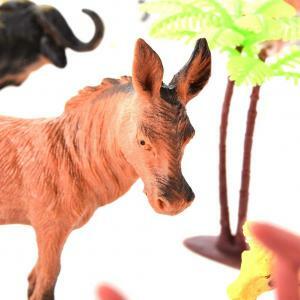 • Durable plastic animals are sized just right for small hands and can be wiped clean. • Includes 8pcs farm animals. • Great Learning resources for young kids that can improve kids ability of creativity and imagination. • Caution: Not recommended for children under 3 years.